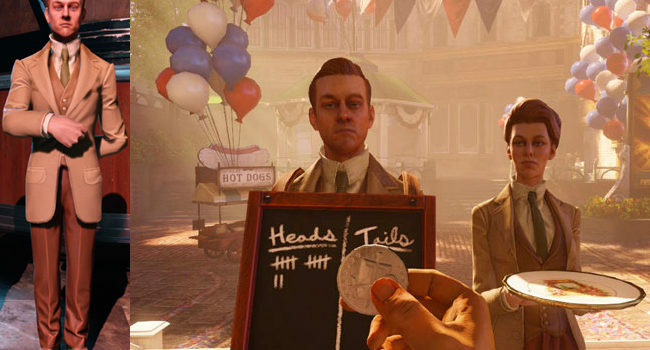 In BioShock Infinite, Robert Lutece (voiced by Oliver Vaquer) is a quantum physicist who, with twin sister Rosalind, escorts Booker DeWitt to the city of Columbia. He keeps track of coin flips on a chalk sandwich board, but it’s hardly needed when you always toss heads. 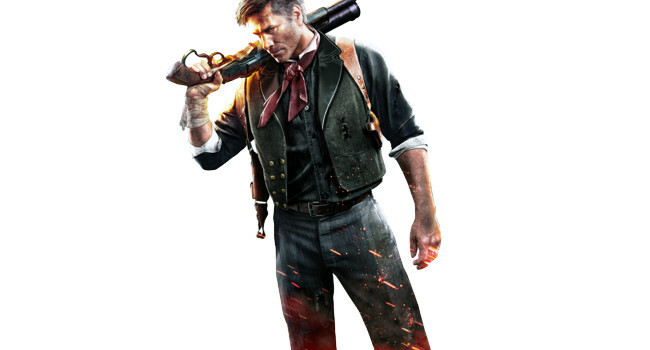 Booker DeWitt (Troy Baker) is the protagonist of BioShock Infinite. A disgraced Pinkerton agent, he has the chance to settle his gambling debts by going to Columbia and rescuing Elizabeth. Maybe he’ll wipe his conscience clean while he’s at it.